Crafty Card Gallery - Page 3 of 95 - an App for Design Inspiration & Sharing New Ideas. It’s Deborah here today sharing a YUMMY card with you all for our theme Keeping it Cool. Yep, with temps so hot here in Texas I thought what better way to keep cool than to share some ice cream with you all. 😀 I hope you all are trying to keep cool, with some type of Yummy Treats. Here is my YUMMY card – For this card I used an ice cream stamp but I only stamped the cones all over my white card stock first, then I did the ice cream parts, fussy cut them out and used 3D adhesive to create a 3D look. I used some stickers from the sticker page from Echo Park – A Perfect Summer collection around the ice cream cones and used the little kit too, I thought it was cute. 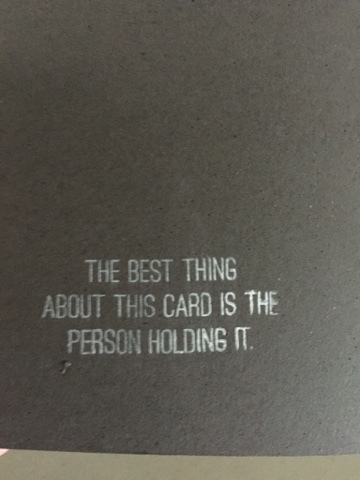 Well I hope you find some inspiration from this card. It was pretty easy and so fun to create using this theme – Keeping it Cool. 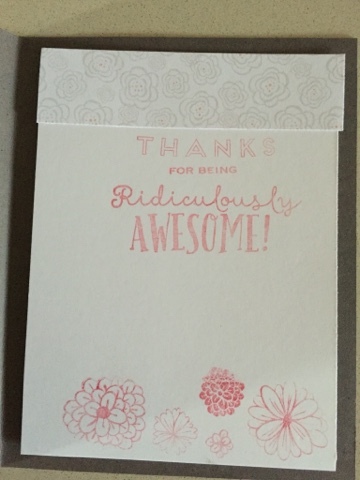 Thank you so much for stopping by and I hope you were inspired to in making a sweet treat card for summer time. For more details regarding my card please hop on over to my blog Creative Life. 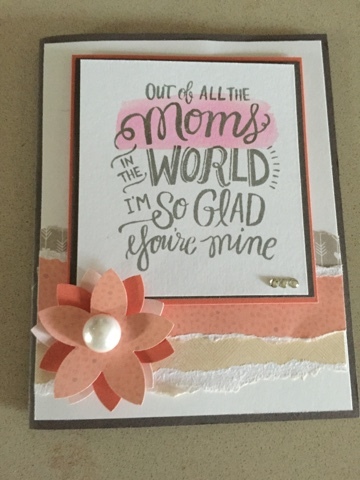 This months Crafty Card Gallery Card Challenge theme is – something that keeps you cool. …….from ice cold lemonade to sitting under an umbrella. The possibilities are endless! 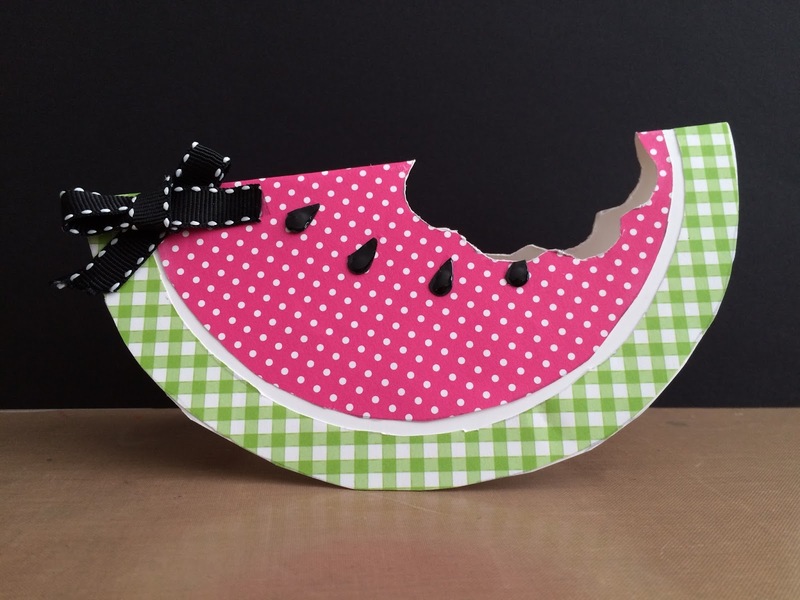 I decided to to think outside the box and create this fun-filled, colourful, Watermelon shaped card. Don’t ya just love the taste of crisp, juicy watermelon on a hot day, it’s very refreshing! Hope you enjoyed my creation, and any questions or comments just ask. 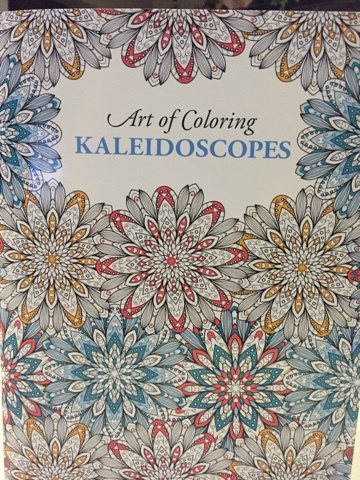 So I had the opportunity recently to try out Leisure Arts newest coloring book, Art of Coloring Kaleidoscopes. I was lucky enough to get the book for free in exchange for a review – but my opinions are my own. 2) Pages are only printed on one side. I hate coloring books that are printed on both sides because then my ink always seems to bleed through! And also I can’t decide which picture I like/want to color. 3) Pages are perforated so you can easily remove them! 4) The paper was really high quality and the pencils worked great on it. 5) Each picture only took up one page – so there was no trying to color in the binding of the book. 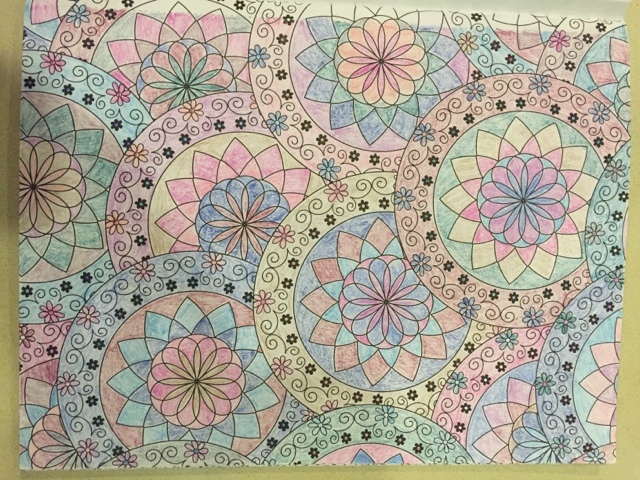 I recently went on short trip and had stashed the coloring book and some Crayola coloring pencils that I had gotten as a gift in my bag. I was able to pull them out and color as we traveled. It definitely made the time go by much quicker! Others commented on how pretty my coloring was and that they enjoyed coloring too! My only comment for taking a coloring book with you – make sure you take pens/pencils that won’t roll away because it’s difficult to get them when you’re in a confined space! Leisure Arts is kindly giving you 15% off your entire order for reading my review!!! And once you’re done with your picture, you can pull it out of the book and use it for something else! 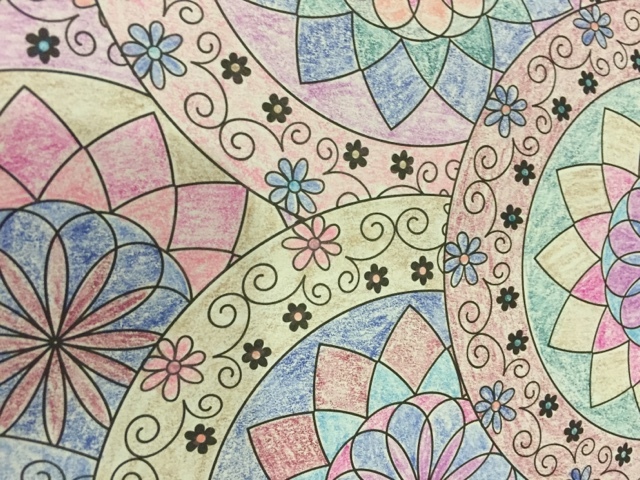 Disclosure: I received this coloring book free from Leisure Arts in exchange for writing a review on the blog. All opinions are my own. This post contains affiliate links. By clicking on them and purchasing products through my links, I receive a small commission. My husband was in the military and we were stationed in Italy for about 3 1/2 years. I totally love Italy and I so wish we could live there. So here I am back in 1987, lol, with my hubby in Venice. They were getting ready for the Gondola Event. I love Venice, it’s so beautiful and loved seeing all the architecture. Boy, I sure do miss it. ***This picture shows the Gondola’s in the Venice Canal. ***This is one of the boats getting decorated for the event. ***Picture of Cathedral in San Marcos Square. Well I hope you enjoyed my scrapbook page of Venice Italy. It brings back such wonderful memories, I love looking at these old photos. Please leave me a comment I like reading the comments below and let me know where you’ve traveled. Have a wonderful day and stay crafty! I saw a variation of this card in the close to my heart catalog and had to buy the set. So am sharing the card work you! Happy mothers day to all the moms oIt there! I’m very lucky to have an awesome mom! And I got very lucky and have a great mother in law too! Hope you had a fabulous weekend. Today I am sharing an ATC that is a shabby chic look. Hope you all like it as our them this Month is “Flowers”, which is perfectly fitting with spring in the air, right? ATC’s are Artist Trading Cards which measure 2 1/2 by 3 1/2. I making these little cards as they do not take a lot of time and there is not a lot of room. So they are something quick and easy to create when you want to craft but don’t have a lot of time. I used Blue Fern paper collection – Blush cut my base down to 2 1/2 by 3 1/2, fussy cut the teacup, bird & flower and heart with the little message inside the teacup. I added glossy accents to the heart and teacup. Crystal stickles to the fussy cut rose. Liquid pearls white to to the metal key and Say it with Pearls by Want 2 Scrap – white pearls in the corner and left side. I adhered lace in the middle of the card and placed the Prima Rose along with the gold heart button and fussy cut heart, teachp and other items ontop of the Lace from Reneabouquets, and the glitter glass is adhered on the background and placed my Reneabouquet butterfly to finish it off. I did distress the edges of the paper and used TH distress inks broken china & spun sugar around the card. Thank you all for stopping by and hope you were inspired by my project today. Please leave some love here and visit some of my teamies posts and leave some love for them too. They are all so talented.